This movie, directed by Pedro Almodóvar, is based on biographical elements. Ignacio (Francisco Boira) and Enrique (Fele Martínez) are students at a Catholic boarding school in the 60s and they become friends as they grow up together. The boys experience love, cinema among the walls of the strict institution, and they also meet humiliation and vulnerability over the years. The main characters meet again after two decades, and shortly after, they find out that their meeting brings an unexpected turn into their lives. Enrique became a famous film director, and Ignacio… well, he changed. Mistrust and suspicion stands between the old friends, and as it turns out later it happened for a reason. The boys were deeply influenced by the priests who were their teachers, and they lived under constant fear that if they did something wrong, they will be punished afterwards. 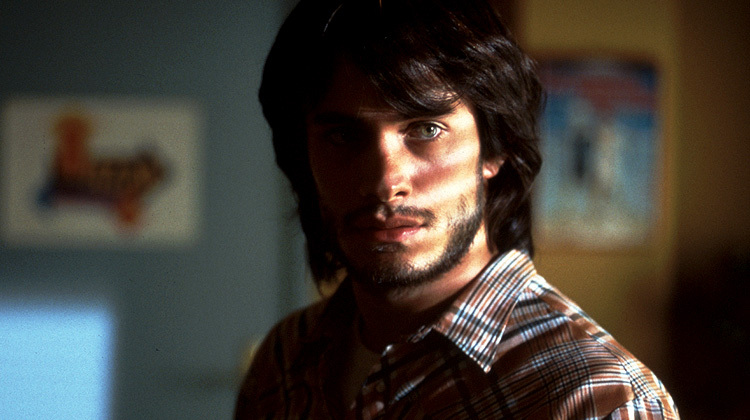 Gael Garcia Bernal is essentially a chameleon here; he appears in multiple roles in this film. He plays Juan, Ignacio’s brother, and he also plays the demonic transvestite, Zahara. “Bad Education” is cinematographically very dark. It really suits the content, beacuse it expresses the feelings of vulnerability and loneliness that the boys felt while they lived under the strict rules of their school. It also conveys the narrow-minded education the boys have received. 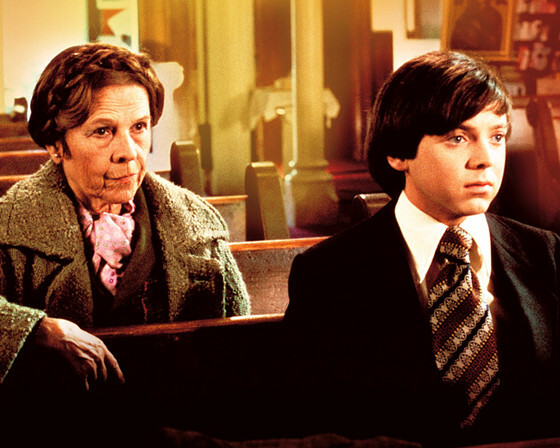 Harold (Bud Cort) hasn’t lived yet, but he’s died a lot. He uses his extreme creativity and his pocket money for only one thing: committing suicide. Every day, he thinks about a new way he can do it. In his free time, instead of going on dates his mother sets up for him, he attends funerals. This continues until he meets Maude (Ruth Gordon), an elderly woman who doesn’t really care about rules or traditions, unless she can break them. Harold discovers the beauty of life next to this 79-year-old lady. He realizes that it’s worth living and he starts to take more interest in being alive. He learns how to love. There are dream couples, and there are those we wouldn’t even dream about happening, but there are no rules in love. And this is what helps Harold grow up and let go of that neglected and desperate boy he was for so many years. Hal Ashby’s visual world is just as surreal as his story. He uses visual humor and vibrantly colorful cinematography, especially when he shows the home of Maude, which represents freedom and life onscreen. Ashby, who is very much an outsider, was a strong inspiration on Wes Anderson and many other filmmakers. His black comedy became a classic through the years, but it will never become ordinary. The long-awaited passion project of Terrence Malick brought him the attention and also many long-awaited awards. It could be the typical story about a family in the American South, with the loving mother and the strict father. However, since this is a Malick film, it is definitely not typical. 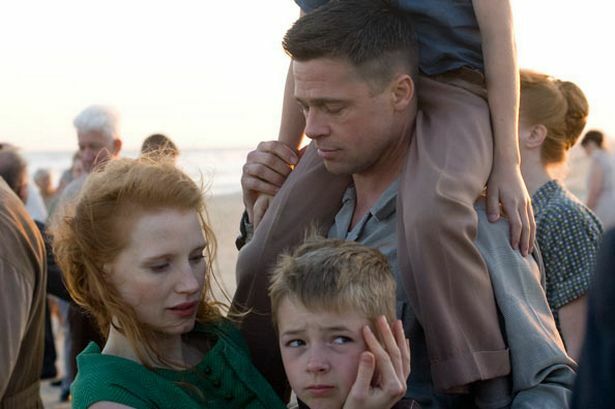 It is the story of a conservative Christian family, with a father (Brad Pitt) have has trouble accepting the fact that his children sometimes behave as children. The mother (Jessica Chastain) can’t accept his violence. Malick’s ability to portray innocence, faith or any other basic and complex religious question stands alone. He does that with his famously evocative images, instead of effective monologues. Being an incredibly ambitious work, it is not only a coming-of-age film, but it is one that really attempts to capture an entire life. The Big Bang, a meditation on afterlife, a look back on birth, childhood, being in a family, the discovery of death, and death itself are all parts of this film. Since it is essentially an auteurist triumph, there was less talk about the acting, but Hunter McCracken’s name has to be mentioned. He plays the young Jack, the eldest child of Mr. and Mrs. O’Brien. His face and expressions could always be remembered as the symbol of a troubled yet beautiful childhood. They are joyful and tragic, and so is the film. The film is worthy to compared to Stanley Kubrick’s “2001: A Space Odyssey” and Andrei Tarkovsky’s “The Mirror”. It is one of the greatest visual experiences of the 21st century and considering the lack of CGI in it, it’s a refreshing one as well. Francois Truffaut’s “The Wild Child” was based on true events that occurred at the end of 18th century. In the South of France, a 12-year-old boy was found in the forests, who couldn’t speak or even walk, and had probably never met humans before. 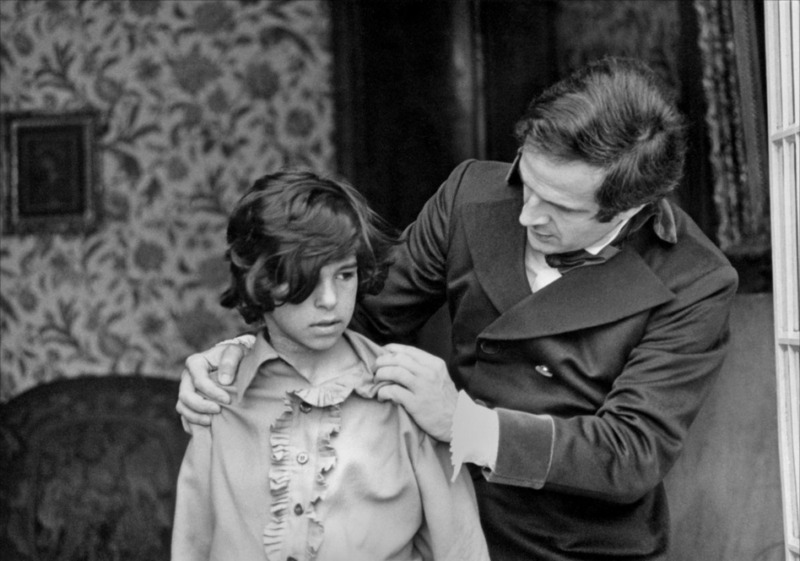 A doctor, played by Truffaut himself, starts to show interest toward the child. He adopts him and tries to teach the boy how to live a civilized life. The film is not only about how the child grows up and learns how to live around people, wear clothes, eat and drink in a civilized manner, and how to walk. It is also about the development of the doctor’s character. He becomes more sympathetic and more tender. His professional interest turns into a fatherlike, loving urge to take care of the boy, who had been given the name Victor. Truffaut creates an unexpectedly conservative visuality through the entire film. Perhaps it is because he wanted to express the old-fashioned milieu in the 18th century that was not ready to take a boy like Victor into society yet. Arguably one of the greatest Spanish films ever made, Víctor Erice’s directorial debut is visually spellbinding, and so psychologically deep that it ranks among the most important artistical studies about being a child. 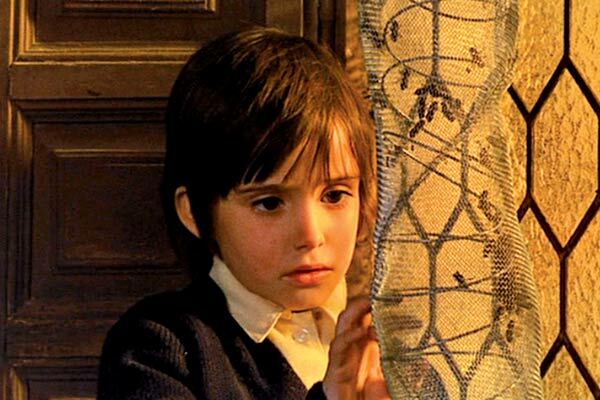 Set in a small Castilian village in 1940 at the time of the Francoist victory, the environment obviously affects the 6-year-old Ana (Ana Torrent). Her parents’ marriage isn’t a very happy one, and they are disinterested in both Ana and her sister, Isobel. The relationship between the sisters is strong enough for them to help each other, although Isobel often plays on Ana’s gullibility. After watching the 1931 film “Frankenstein”, it is not only the enviroment that affects her so deeply. Ana became utterly possessed with the story and with the existence of such a monster. The more horror she experiences in real life, the more she tries to escape into her own imagination. One day, she runs away to the forest and she finds poisonous mushrooms, and later she has a dreamlike vision of the monster. They find her the next day after that night in the woods. Aside from childhood, this film is also about the horror genre itself, as well as war, loss, the dictatorship, the care and the lack of care for one another, and it is also a love letter to cinema. Erice didn’t became a very prolific director, but everything he does is extraordinary.” El sur” from 1983, and “The Quince Tree Sun” from 1992 are unique and fascinating cinematic experiences. Author Bio: Emma studied acting for a while but finally she decided that she would be more comfortable with being a cultural anthropologist. One thing hasn’t changed: she loves watching films and writing about them.